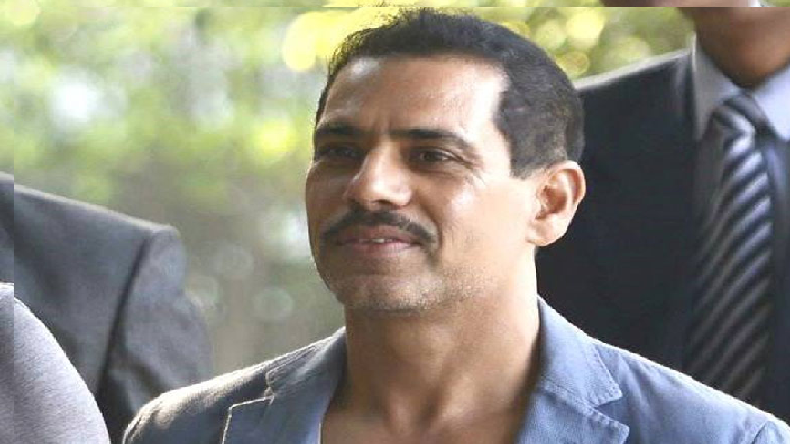 Vadra, the husband of Congress secretary in-charge of east Uttar Pradesh Priyanka Gandhi, has been summoned by the ED thrice this week in a money laundering case. On Saturday, he was grilled for about eight hours. Robert Vadra, who has been questioned by the Enforcement Directorate in a money laundering case, said the truth will always prevail. Vadra, the brother-in-law of Congress president Rahul Gandhi, also thanked all his supporters who stood behind him. Vadra has claimed that he is being harassed by the Modi government at the Centre through misuse of investigating agencies for political reasons. In a Facebook post, Vadra said that said that he is disciplined to deal with everything. Vadra, the husband of Congress in-charge of east Uttar Pradesh Priyanka Gandhi, has been summoned by the ED thrice this week in a money laundering case. On Saturday, he was grilled for about eight hours. The Bharatiya Janata Party has alleged that Vadra was involved in the AgustaWestland scam, one of the biggest defence scams in the country. The ruling party also accused Vadra of sharing nine emails with the relatives of arms dealer Sanjay Bhandari. The BJP MP Subramanian Swamy has referred Vadra as a coward and his party BJP termed him as a tained damaad (son-in-law). Meanwhile, Vadra is set to depose before the ED in Jaipur on February 12. He was also directed by the Rajasthan High Court to cooperate with the probe agency. In 2017, the Central Bureau of Investigation had filed 18 cases against companies that are linked to Vadra. Last year, ED had also raided the offices of Vadra.